Veterinary medicine has come such a long way since we began practicing over 20 years ago. Today, referrals to veterinary specialists in fields such as orthopedics, ophthalmology, neurology, and even dentistry are part of the everyday standard of care, and there are now no less than FOUR emergency hospitals offering advanced care 24/7 in our local area. Advances in care certainly improve the lives of our patients, but they come with costs that are sometimes out of reach for the average pet owner. Chronic medical conditions such as allergies, arthritis, dental disease, diabetes, and heart problems are common and can also be very costly to manage for the life of the pet. If your pet is sick or injured, in addition to the emotional stress of your beloved family member being ill or in pain, facing a substantial vet bill can render the decision-making process even more difficult. As veterinarians, we absolutely feel the pain and stress of our human clients who have to make decisions for their pets care based on finances. Unfortunately, these situations happen all too frequently. When a client with a sick or injured pet has medical insurance, we know that we can recommend the best care without having to cut corners due to cost concerns. This is why we recommend pet medical insurance for our clients. Clay is a very handsome beagle patient of ours whose owners signed him up for medical insurance at his very first healthy puppy visit in 2013. (And boy, was he cute!) About two years later on a snowy day, his owners noticed there was blood in his urine. 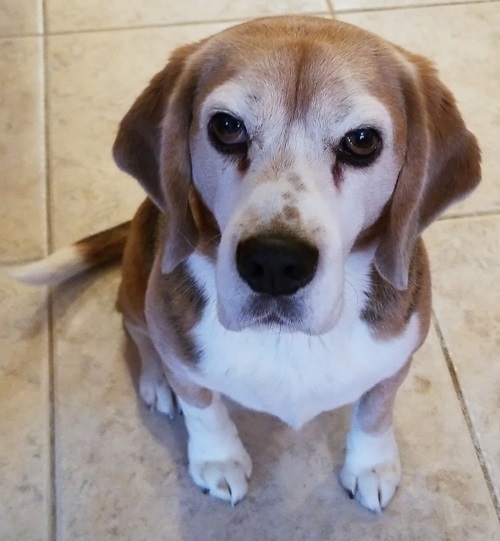 After diagnostic testing including blood work, several urine tests, cultures, and ultrasound, Clay was diagnosed with an unusual inflammatory condition of his bladder, which could have progressed to cancer if left untreated. He was referred to Tufts Veterinary School where one of the leading urinary specialists in the country was able to treat his condition with non-invasive endoscopic laser surgery, followed by several months of medication. The substantial cost of these procedures was covered 90 % after the deductible and his owners were thrilled that they did not have to consider cost in making their treatment decisions. Because he has medical insurance Clay is now a happy healthy beagle! Pre-existing conditions are never covered.This is why we recommend signing up for insurance at the very first puppy or kitten visit, just like our friend Clay! You can go to any vet you choose.There are no care networks as in human medicine. Pet owners are reimbursed by the insurance company after submitting their own claims. Keep in mind that you will usually have to pay your vet bill up front with a credit card or financing service such as Care Credit, and then submit your claim for reimbursement. Pay attention to the details. Some policies have yearly or lifetime payout limits, and deductibles can be either per year or per medical condition. Chronic conditions can become very expensive if there is a deductible each year for treatment. Coverage of hereditary or congenital conditions varies, as well as waiting periods for enrollment. Several companies offer immediate coverage for puppies and kittens upon signing up, and we can assure you that they often get into all kinds of trouble, especially in the first few weeks after adoption! Well care is not automatically covered. Some policies (with higher premiums) cover routine care, but in our experience, coverage for the unexpected emergency or illness is the most helpful to pet owners. Monthly Premiums vary widely depending on coverage you choose, and your pets breed, age and geographic area. Most companies have a choice of deductibles, and offer a free instant quote on their websites. Additional treatments such as physical therapy, acupuncture, supplements or prescription diets are not always covered. So how do you choose the right policy for your pet? There are several online resources which compare cost, benefits and customer satisfaction reviews. Insurance provider web sites will give free instant quotes and the details for each type of policy. Talk to your vet about the insurance plans they have had good experiences with. In summary, the purpose of pet medical insurance is to solve the problem of budgeting for unexpected expenses, and to help avoid the sad reality of economic euthanasia. It gives pet owners peace of mind during the otherwise stressful situation of dealing with illness or injury to a beloved pet, and it gives veterinarians the freedom to practice the best quality of care to keep your four-legged family members as healthy and happy as possible.